The U.S. dollar turned volatile last week as the greenback was caught between the uncertain policies of the new Trump administration and economic releases. It was a busy week for the U.S. dollar which saw key important economic reports over the week. Manufacturing sector in the U.S. continued to expand at a healthy pace indicating that businesses were optimistic as new growth and orders increased. Last week was marked by the FOMC meeting and Friday’s payrolls report. The Fed’s first meeting of the year was lackluster as policy makers did not offer many insights into the future of monetary policy. This was followed by Friday’s jobs report which showed that the U.S. economy added 227k jobs during the month of January. It was a solid job print as it beat estimates of 170k. However, there was some weakness in the jobs report as wages rose less than expected by only 0.1%. Economists were forecasting a wage growth of 0.3%. December’s wage growth was also lowered from 0.4% to 0.2% indicating that there was not much of pressure on wages which is essential if inflationary pressures were to remain. Following the Fed’s statement and Friday’s payrolls report, the markets toned down expectations of a rate hike in March. Elsewhere, the U.K. parliament voted to approve the Article 50 bill meaning that Prime Minister Theresa May can now legally proceed with triggering the Article 50 negotiations following last year’s June Brexit referendum. GBPCHF: GBPCHF rallied towards 1.2507 as mentioned last week and extended the gains slightly higher above 1.2550 but soon price started to retreat strongly and closed the week below 1.2407. Price is now looking to form a possible double bottom near 1.2357. However, there is scope for price to break down below this level but could find support near the previous level of 1.2307 – 1.2282. If support is found here, expect GBPCHF to bounce to the upside. 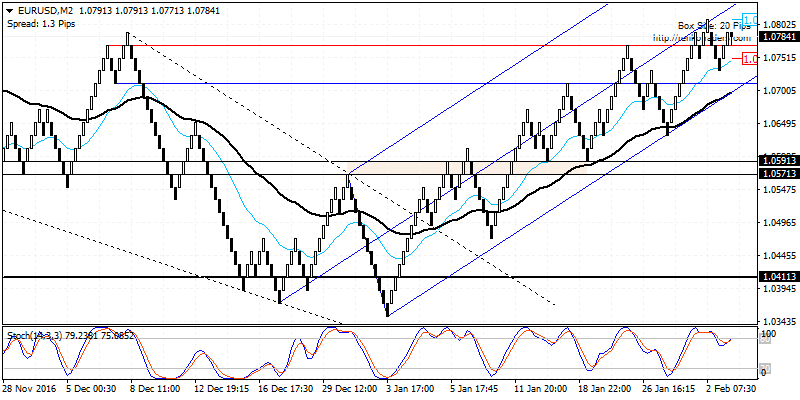 Long positions can be taken above 1.2357, targeting 1.2507. EURGBP: EURGBP consolidated around 0.8517 for the most part last week before price finally managed to push higher towards 0.8592. 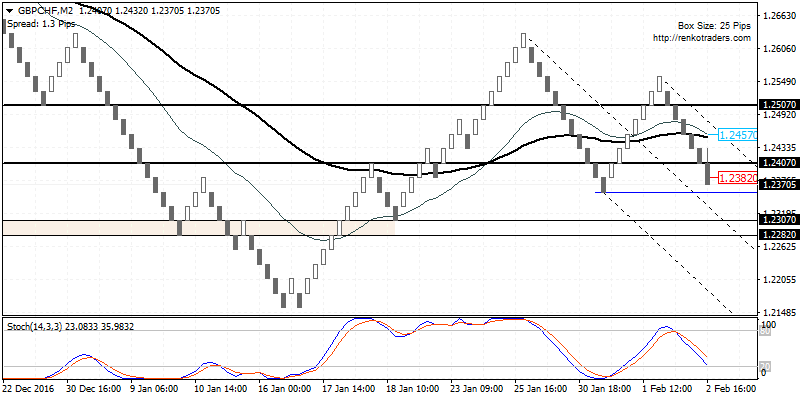 We can expect to see further continuation to the upside with the target likely to be near 0.8742. However, watch for a possible dip back to 0.8592 in EURGBP ahead of this rally. The near term trend in EURGBP remains to the downside and the current set up is a counter trend to the long term downtrend. Alternatively, look to build short positions in EURGBP from 0.8742. EURUSD: The euro jumped higher last week but there are clear signs that the upside could be weakening. 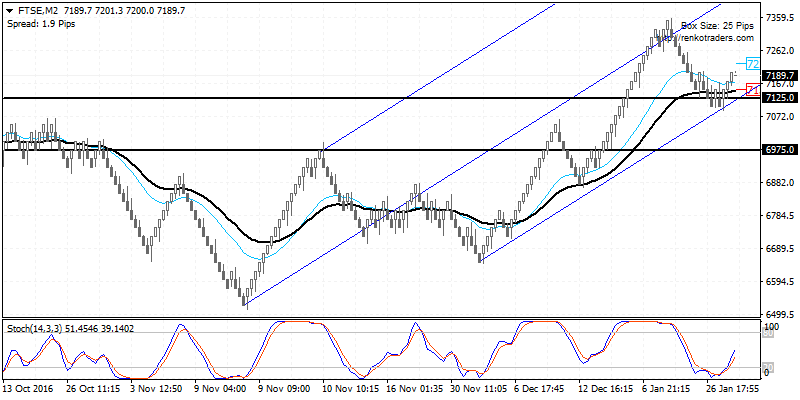 The Renko chart below shows a possible bearish divergence that is forming on the chart near 1.0780 region as the Stochastics is failing to confirm the highs in prices. 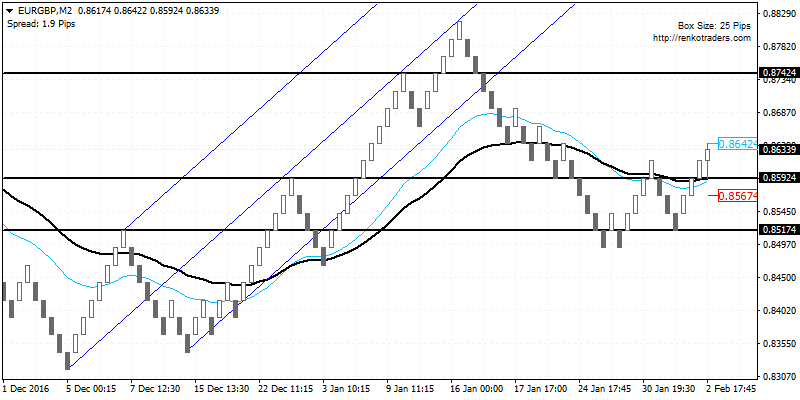 The support at 1.0590, rounded off to 1.0600 remains on the table to the downside. However, given the current scope of the momentum, it is best advised to look to buy EURUSD at 1.0600 levels rather than short the currency pair. The week ahead is slow compared to last week, but that is not to say that there are no important releases. The RBA and the RBNZ meetings are lined up this week. No changes are expected to interest rates from both the central banks. The RBNZ for its part is expected to put an end to rate cuts this year, but the strength of the Kiwi dollar remains a concern. The RBA on the other hand is likely to maintain its wait and watch mode. Other central bank meetings this week include the Bank of Mexico’s meeting mid-week. Canada will be reporting its monthly employment figures this coming Friday. The unemployment rate is expected to remain unchanged at 6.9% while the monthly employment data is expected to fall by 5000.